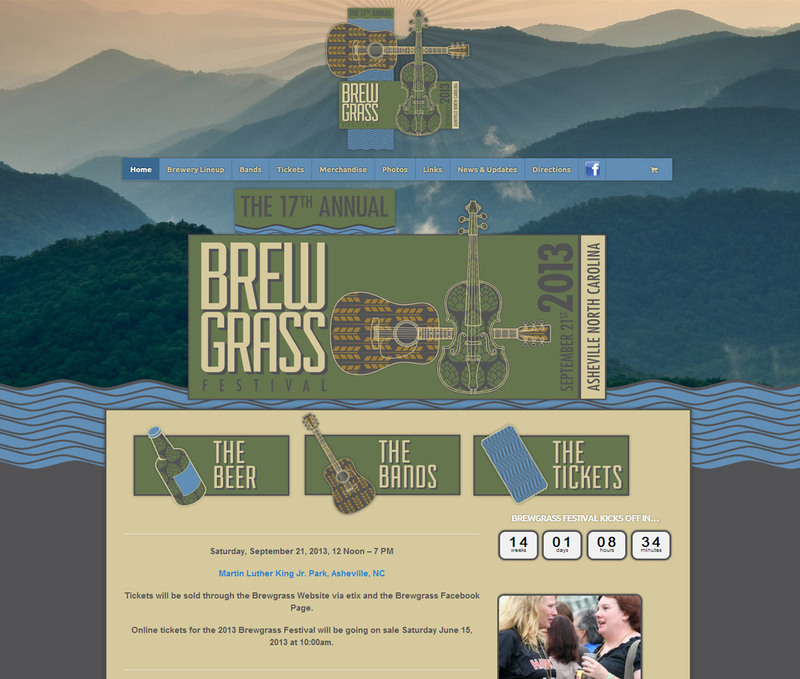 Asheville Website Design for the Brewgrass Festival! We’re happy to announce a new web design and development launch – this time for Asheville’s own Brewgrass Festival. Danny and the good folks at the Brewgrass Festival needed a new website that could grow and change with the festival. With bands and breweries dropping out, they needed something easy to update and easy to use. They also needed (like everyone does) a responsive web design so they didn’t miss out on the huge percentage of folks using mobile devices to view their site. It needed to work – and work it does. How? WordPress and WooThemes. The site features some nifty stuff and a super-easy user interface so it can stay updated, fresh and awesome. Also, since it’s built using a totally modular system and theme, they won’t have to recreate the wheel next year when their look changes. Sweet! So – go check it out. Then, drop us a line – we can help you be awesome, too!